Thomanerchor Leipzig, an ensemble comprised of boys between the ages of 10 and 18, performs concerts around the globe. 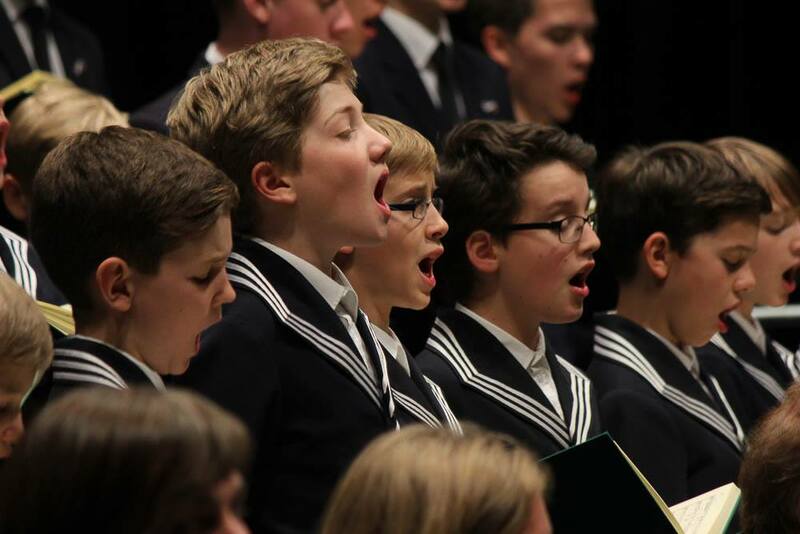 German boys choir Thomanerchor Leipzig performed on Nov. 18 in the Center for Faith and Life (CFL). The performance was the final installment of the Center Stage Series’ fall semester. Thomanerchor Leipzig has a long and rich history and was even conducted by Johann Sebastian Bach from 1723-1750. The choir is now conducted by Gotthold Schwarz, who became cantor in 2015. 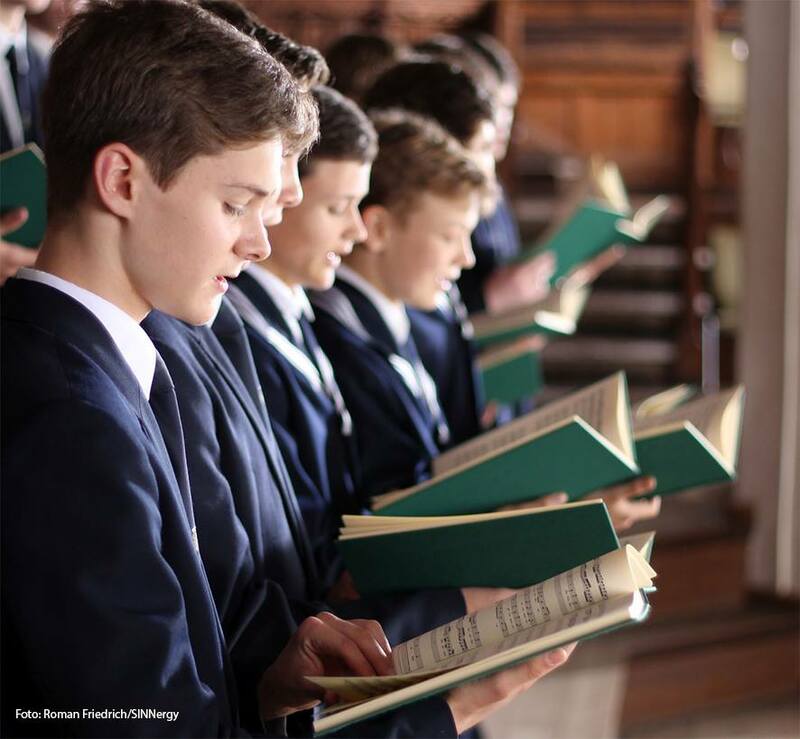 The singers in Thomanerchor Leipzig include fifty boys between the ages of 10 and 18. Thomanerchor Leipzig performed 12 songs during the concert. The choir performed three pieces by Bach, including “Fürchte dich nicht” (“Do not fear”), “Komm, Jesu, Komm” (“Come, Jesus, Come”), and “Der Geist hilft unset Schwachheit auf” (“The Spirit Comes to Help Our Weakness”). Along with the music by Bach, they performed Johann Hermann Schein’s “Herr Gott, du unset Zufulcht bist” (“Lord, you have been our dwelling place”), Felix Mendelssohn-Bartholdy’s “Kyrie Eleison,” and Heinrich Schütz’s “Also hat Gott die Welt geliebt” (“For God so Loved the World”). The performance was divided into three sections, with each section separated by an organ solo by Gregory Peterson (‘83). Peterson’s two organ solos gave the singers a chance to sit down and get a drink of water before beginning their next part of the concert. Peterson performed one piece by Bach and one by Mendelssohn-Bartholdy. Thomanerchor Leipzig was founded in 1212 and still sings music from 800 years ago. When they are not touring, the group sings in St. Thomas in Leipzig, Germany. The singers live, learn, and sing in the Thomas-Alumnat, which is their boarding house. They attend St. Thomas School. Organist and general manager of the choir Stefan Altner said he was excited to perform at Luther because of its association with the Reformation. Members of Thomanerchor Leipzig live, study, and sing together. Altner was in the choir when he was a child, and he said it has not changed much since he was first involved. He is especially proud of the choir’s connection to Bach. Performing Arts Commitee (PAC) co-technician and attendee Alex Lapinski (‘19) thought the event was a success. President of PAC Melissa Kirby (‘19) shared this excitement. She said the choir’s performance in combination with the Anniversary of the Reformation made it a memorable event. Attendee Mikaela Hanrahan (‘21) attended the event because it was required for her German 201 class. She thought the event was a valuable experience. Decorah is the third to last stop on the tour for Thomanerchor Leipzig. Altner explained that they will return to Germany after two more concerts in the United States.